MINIX 3 doesn’t come with preinstalled Graphics user interface. It still gives us feel of old age Black screen operating systems. So developing inside MINIX 3 is not an easy task. So many of us need to transfer files from MINIX 3 to other OS and vice-versa. Here in this article i’ll show you how you can transfer files between MINIX 3 and Windows OS using openssh. I have installed MINIX 3 in VirtualBox and Windows 8 is my host operating system. Follow these steps :1- Open VirtualBox and boot your MINIX 3 machine. Login as a root. If you didn’t already, then setup your root password by typing command “passwd” without quotes and hit enter. Give it a nice and secured password.2- Now to install openssh using pkgin , first update pkgin. After that install openssh. 3- Now shutdown MINIX 3 and set port forwarding in Virtualbox. 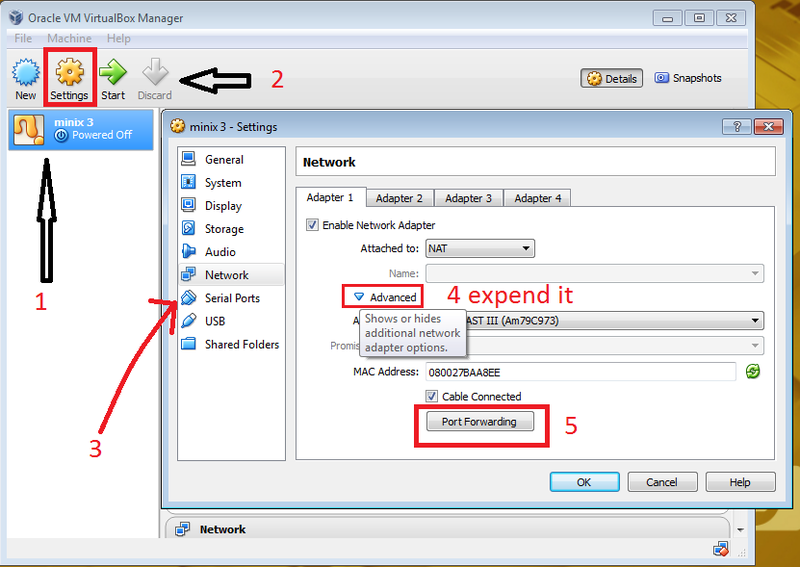 Open your MINIX 3 setting and go to network. Make sure network adapter is set to NAT. Expand the advanced button. Now click on port forwarding button. 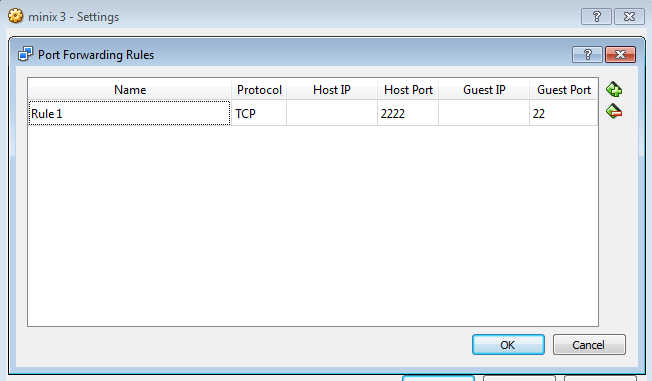 Set the host port to 2222 and guest port to 22 as in following image. 4 – Now install Filezilla or any ssh client you prefer, for example Putty on windows. 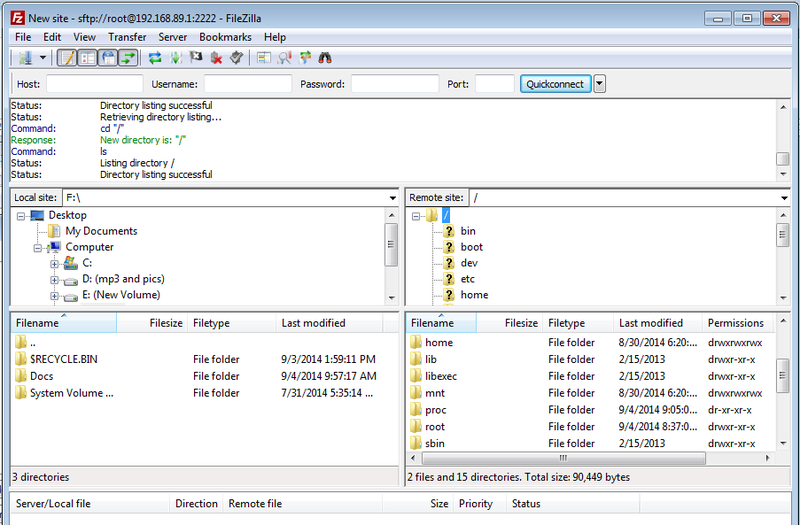 Now in Filezilla go to File > Site Manager. Click on new site and fill host – 127.0.0.1, port – 2222, Protocol – SFTP and user- root as shown in following image. 5- Click on Connect button. It’ll ask for password. Enter the password you set for root in MINIX 3. Now filezilla will show the files and folders of MINIX 3. If it shows unknown host key dialog box just click OK button. Now you can easily transfer you files from MINIX to Windows. I was searching for file transfer using FTP in MINIX. But thanks anyway. It’s also working. Good web site you’ve got here.. It’s hard to find high-quality writing like yours nowadays. I really appreciate people like you! Take care! !